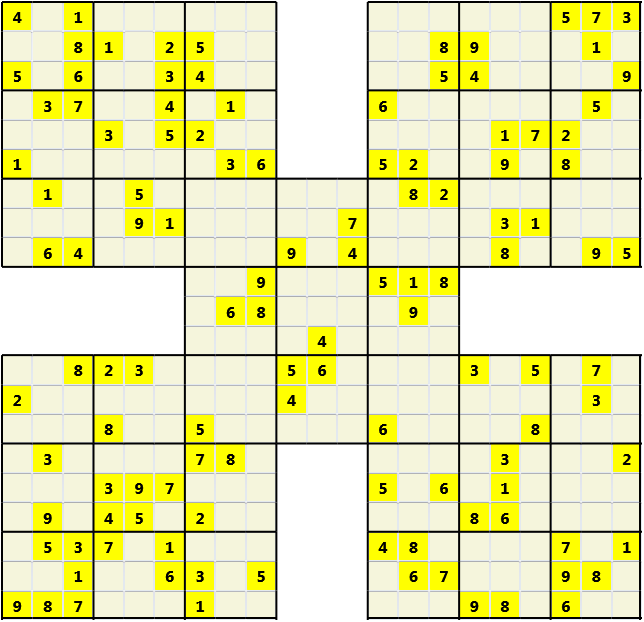 Strictly a 2 dimensional problem since only considering the outside faces which are laid out onto a plain. 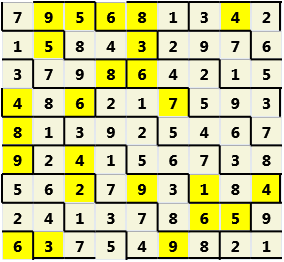 There are 16 Characters which cannot repeat in any band or face. 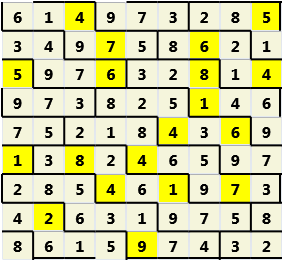 3 of the bands are highlighted. 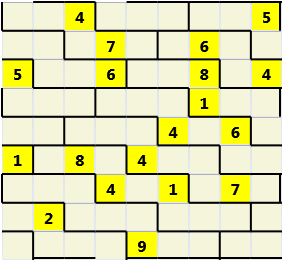 There are 12 bands and 6 faces, each with 16 Cells. 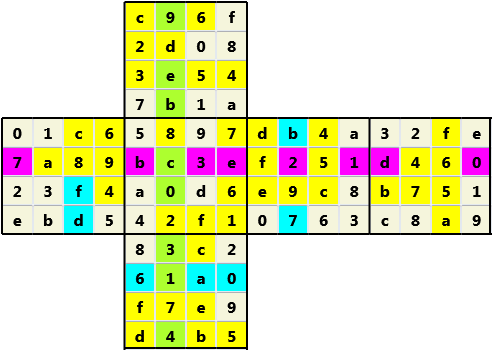 There are 16 possible characters so I use a standard hexadecimal character set: 0,1,2,…,9,a,…,f. 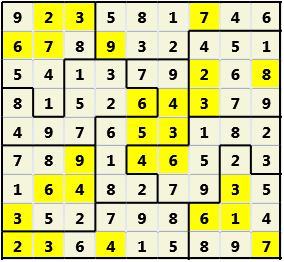 True 3 dimensional problem. 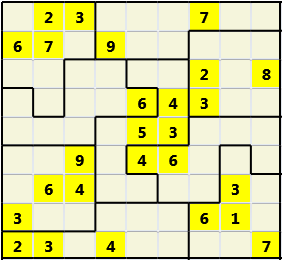 Each 4X4 square is one plane of a 4X4X4 cube. 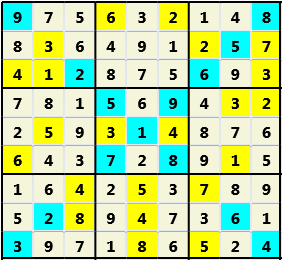 Consider the squares stacked on top of each other. 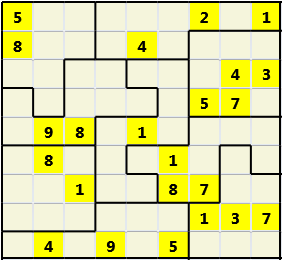 There are 12 planes in this problem each of which is a 4X4 square which must have no repeating characters. 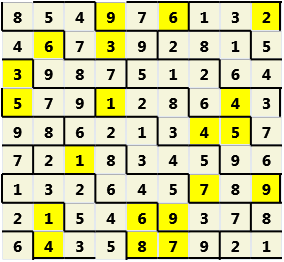 Some of the planes are highlighted. 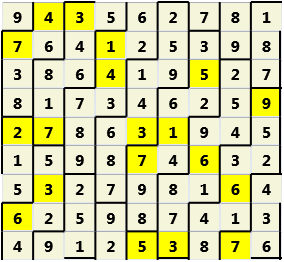 There are 16 possible characters so I use a standard hexadecimal character set: 0,1,2,…,9,a,…,f. 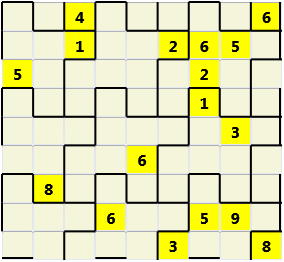 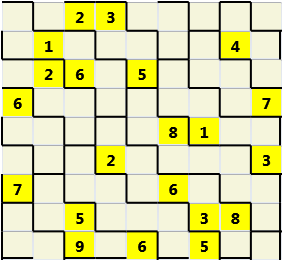 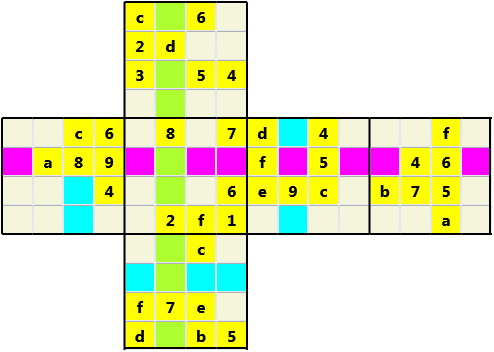 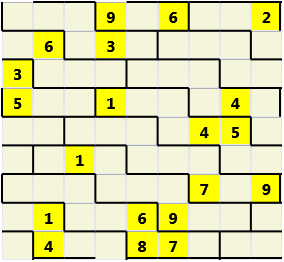 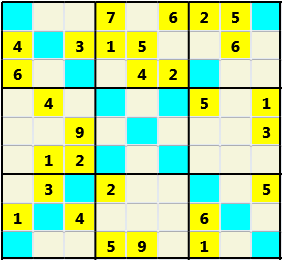 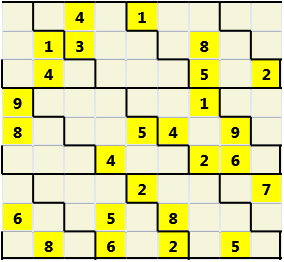 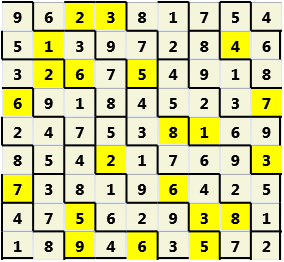 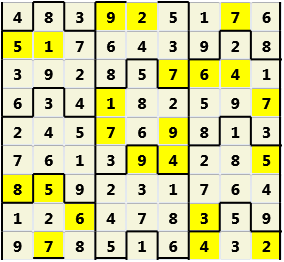 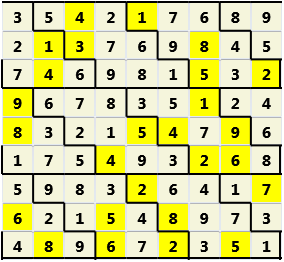 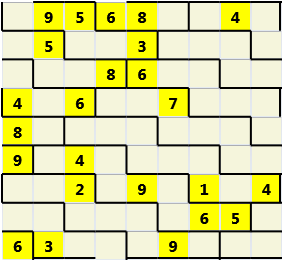 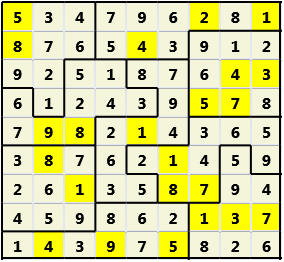 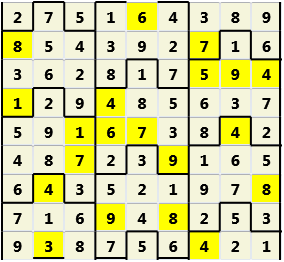 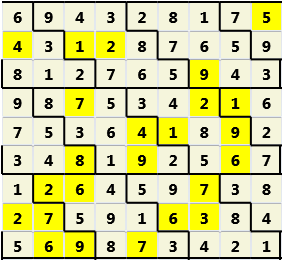 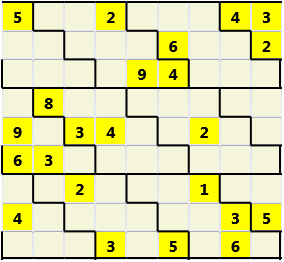 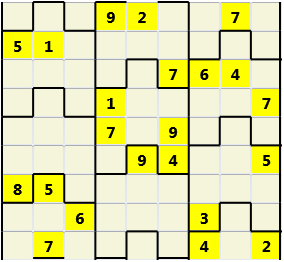 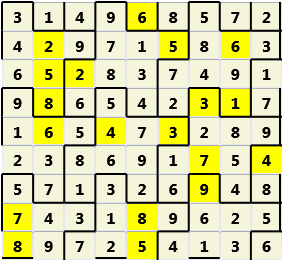 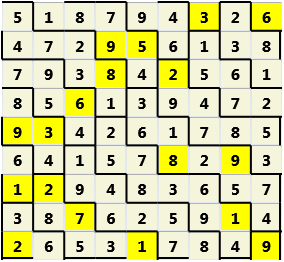 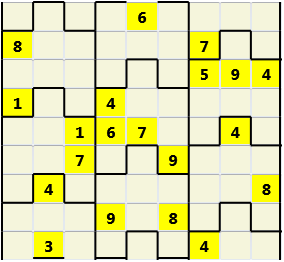 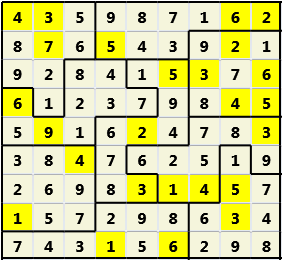 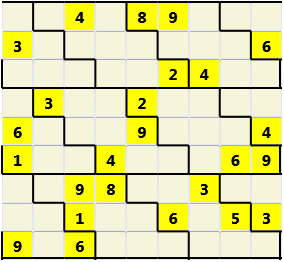 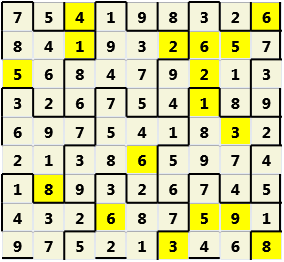 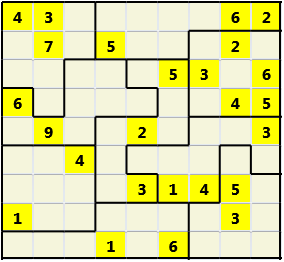 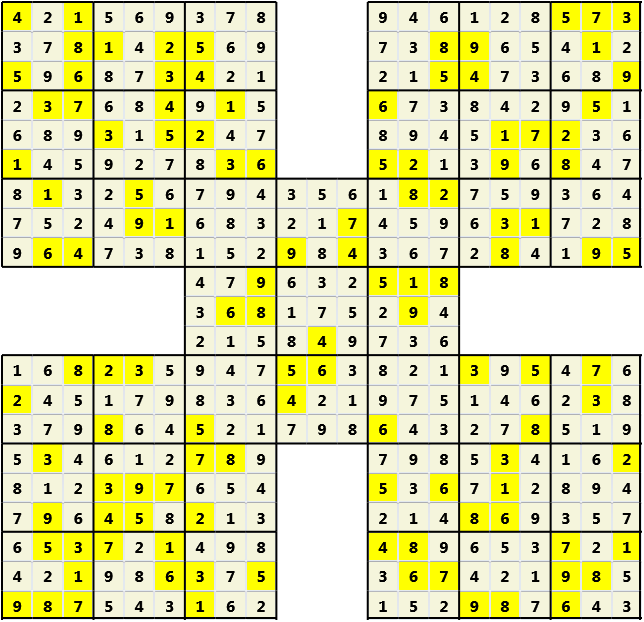 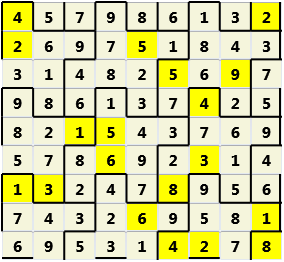 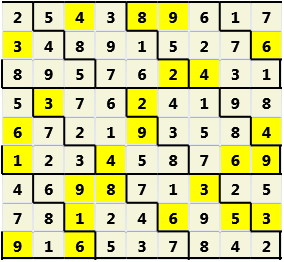 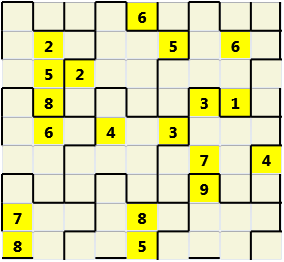 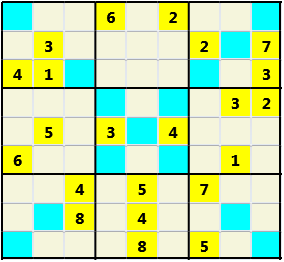 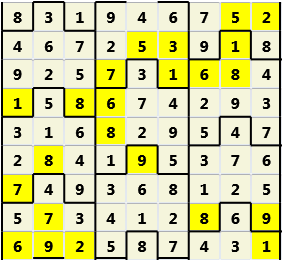 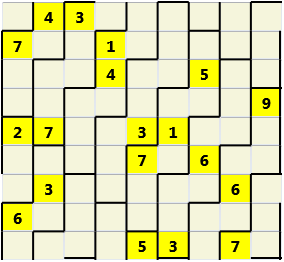 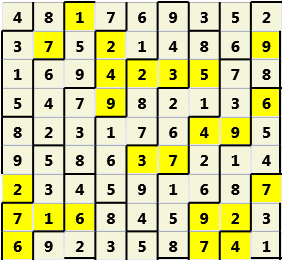 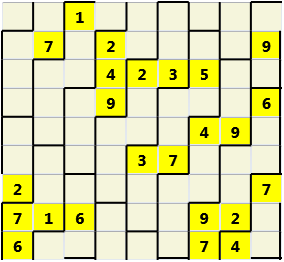 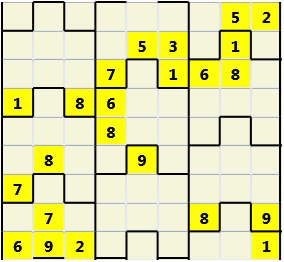 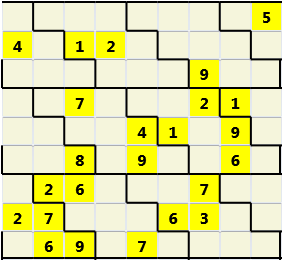 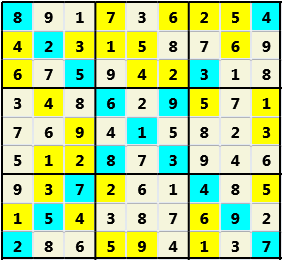 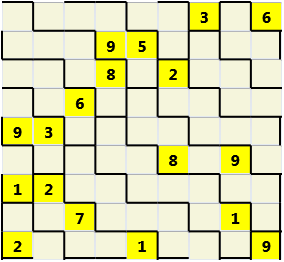 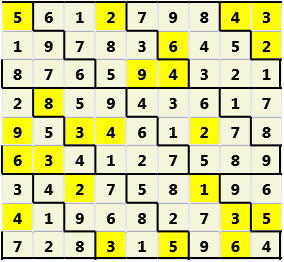 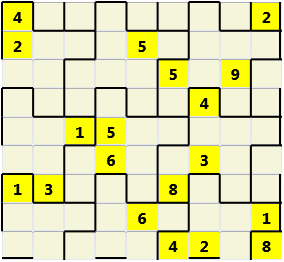 Effectively 5 intersecting 9 by 9 Sudoku problems.